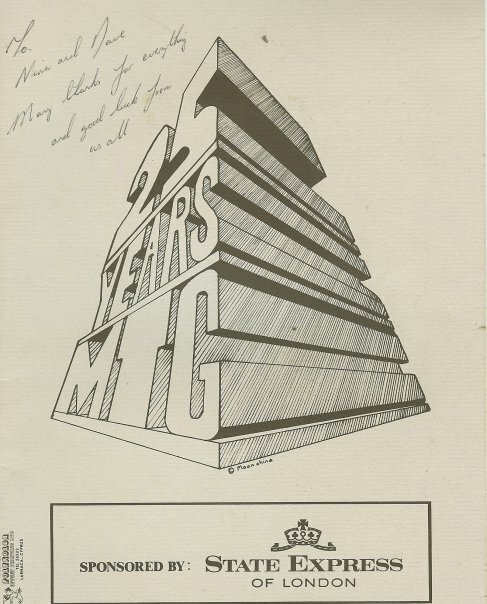 This is the home page for the Thespians, crews and all those involved in the productions of any amateur dramatics in 9 and 13 Signal regiments; but with special emphasis on the various offerings of the Mercury Theatre Group from approximately 1956 to 1981. Should there be anybody who has photos of productions, including ones outside this time frame, please let me know and I will add them to the site. Also please feel free to add comments to the pages and to name tag the photographs. I am notoriously bad with names! I am indebted to Dave Low and Dave Morgan who have provided most of the photography and the scans of the various programmes, plus a host of other memories. It was a wonderful group and provided a lot of laughter and a few tears during my association. Two of my most enduring memories are having my lead actress decided she wouldn’t go on stage on the first night of Sinbad, leaving me in floods of tears of relief when she finally changed her mind, and the swivel for the follow-me spot breaking the night before the opening of another play and having to rush down to a garage in Dherinia and get them to modify the mounting at the great cost of £5.00. The group was full of great characters and it would be too much to list them all here, but hopefully people will chip in and tag the names on the photographs and add their own comments on the productions.